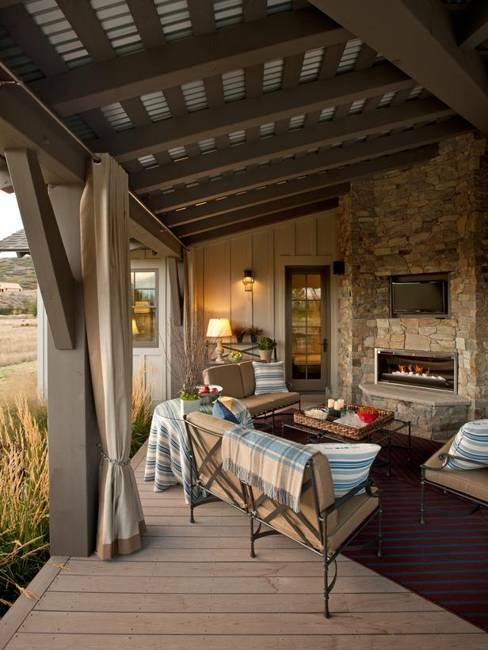 Creating beautiful and comfortable outdoor living spaces gives a great opportunity to enjoy warm seasons. 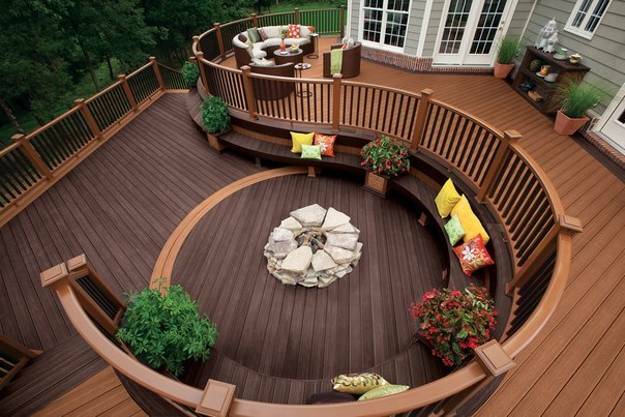 Attractive summer decorating turn backyards into inviting retreats for rest and entertainments in style. 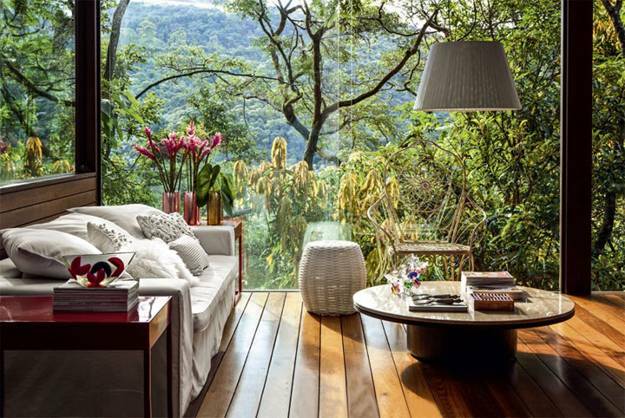 Lushome shares a few backyard landscaping ideas and tips for outdoor home decorating that bring chic and luxury into your summer days and nights. 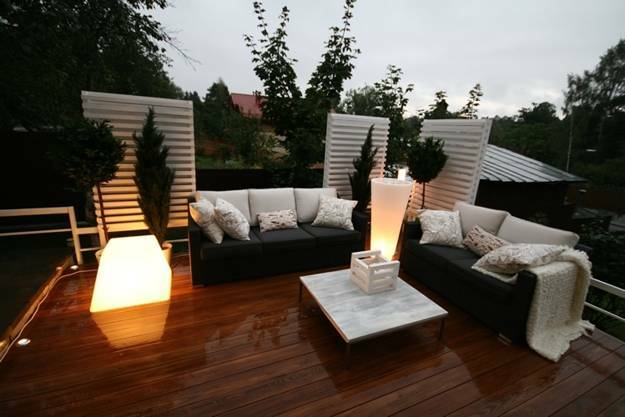 Elegant and modern ideas for outdoor home decorating transform backyard designs regardless of property sizes. 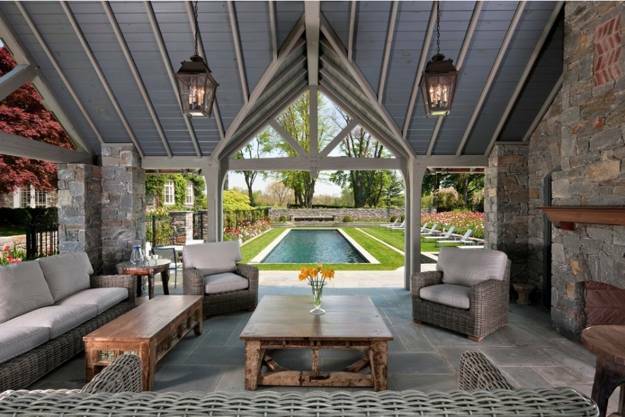 Backyard designs can feel and look like exclusive places. Courtyard can be transformed into wonderful oases. 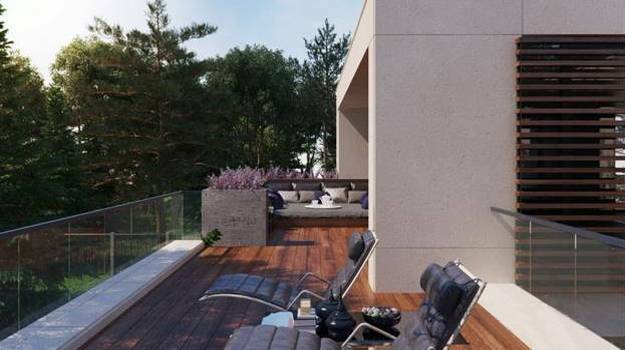 There are several design ideas and yard landscaping elements that help to create stylish and chic outdoor living spaces. 1. 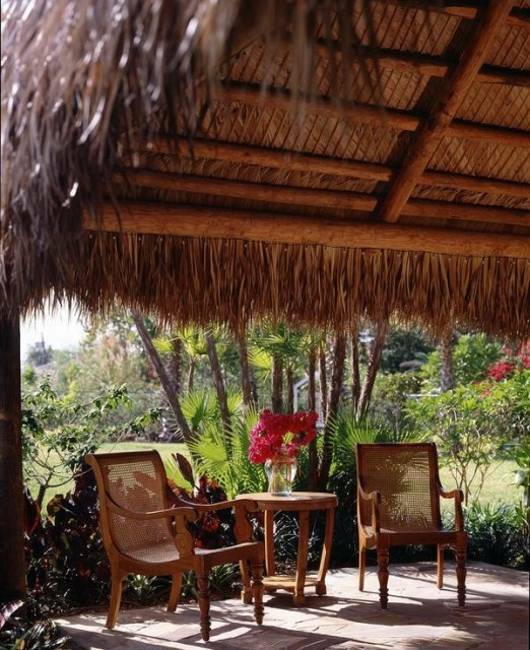 Music creates a relaxing atmosphere and add fun to vacation-like feel of your backyard. Relaxing sounds of music and water, mixed with wind chimes and tree leaves whisper are ideal for creating calming and peaceful backyard designs. 2. 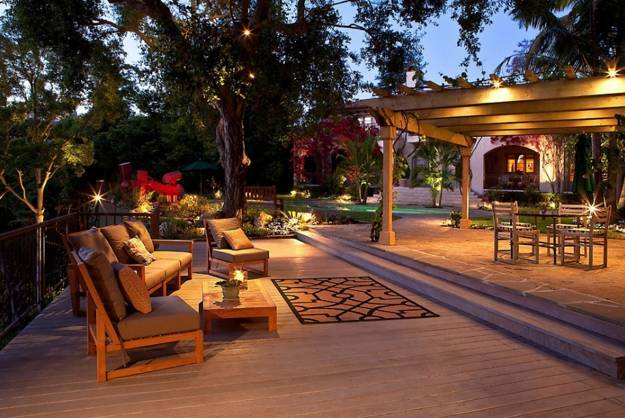 Outdoor lights create fabulous recreation areas and bring a warm and welcoming atmosphere into backyard designs. 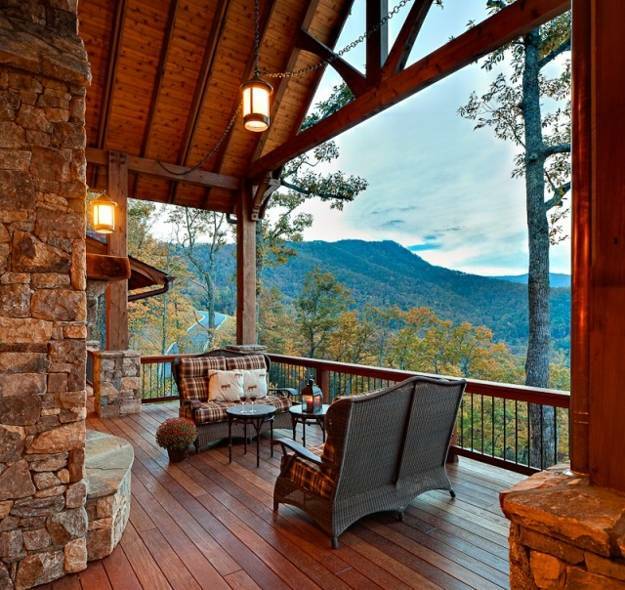 Candles, lanterns, string lights or chandeliers add style to outdoor living spaces. 3. Modern and comfortable outdoor furniture, sofas, chars, benches, hammocks, chairs or hanging beds with soft cushions offer rest in elegant style and make backyard designs appear welcoming and expensive. 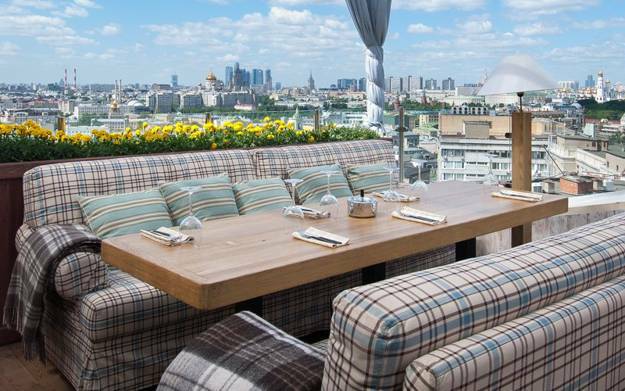 Summer decorating with textiles, pillows and throws, floor rugs and outdoor fabric canopies or curtains help create chic outdoor seating areas. 4. 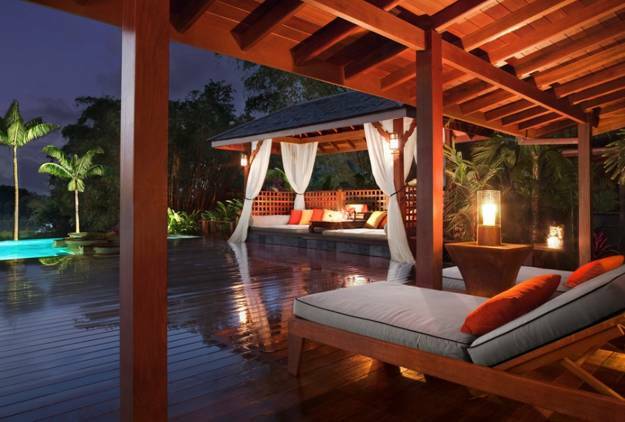 Privacy is a must for luxurious courtyards and backyard designs. 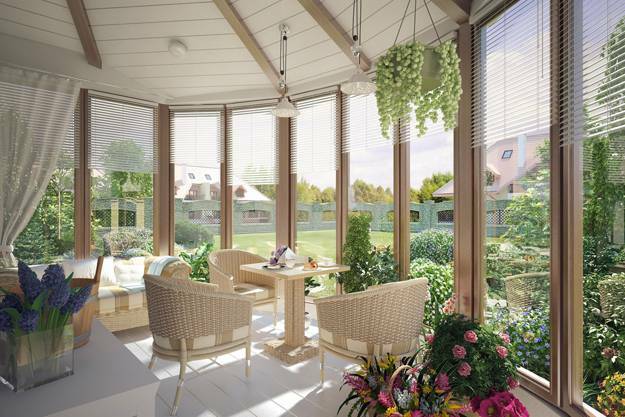 Creative yard landscaping ideas, planting trees and shrubs for a Green fence, adding decorative screens with climbing plants or using outdoor curtains can create very private, intimate and luxurious outdoor seating areas in summer. 5. Water features are great for adding graceful style and chic to outdoor home decorating and helping you and your guests feel relaxed and comfortable. 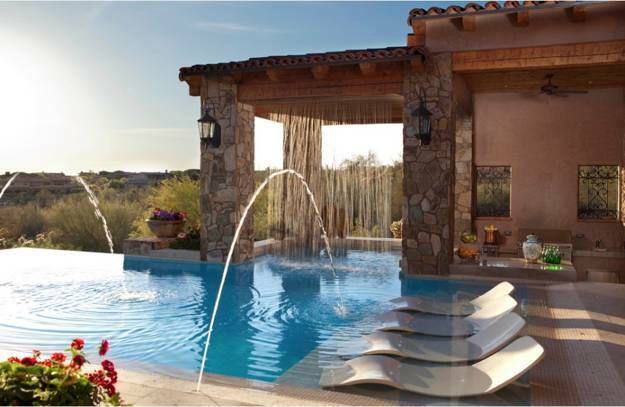 There are many creative design ideas and yard landscaping solutions that allow to add water features to backyards. 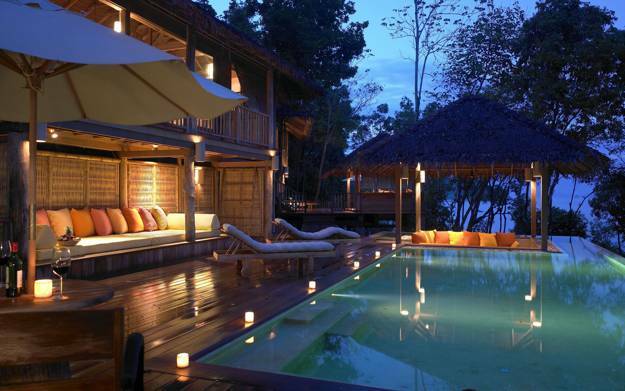 They bring tranquility and calm atmosphere and make outdoor living spaces look unique and expensive. 6. 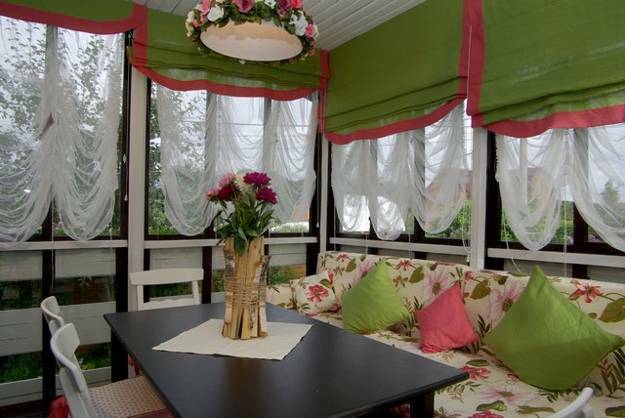 Creating a porch or roofed desk with glass walls is a chic backyard idea that allow to enjoy rainy and windy days. 7. 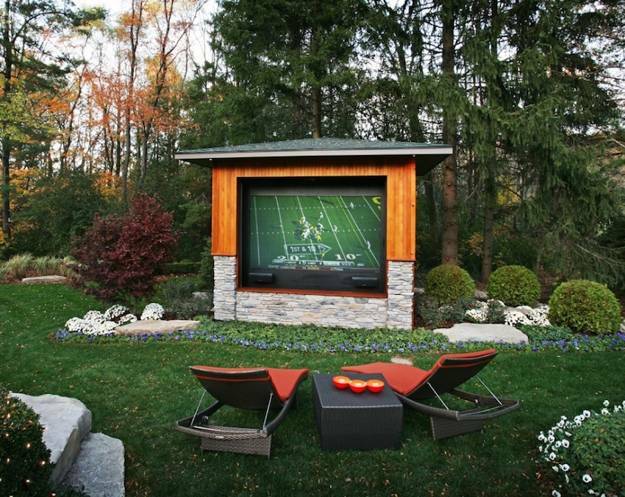 A large TV bring luxury into backyard designs, offering a summer home theater for entertaining. 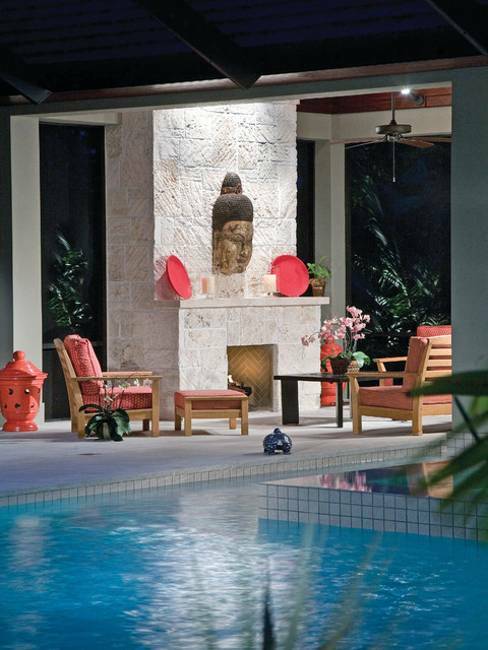 Weather proof TVs are designed for outdoor home decorating to create fabulously modern and chic outdoor living spaces. 8. 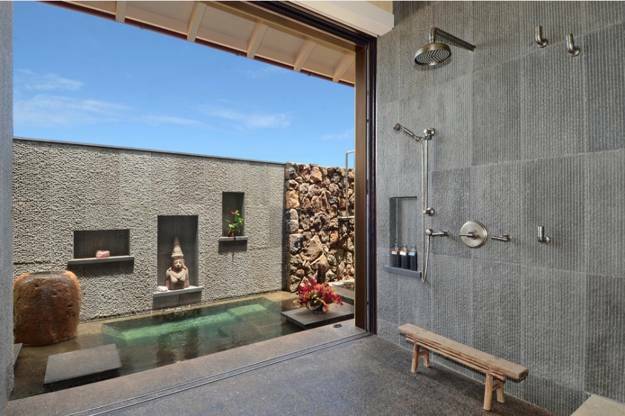 Outdoor bathrooms design and a spa with a hot tub, shower and bathtub placed in a garden is one of the most luxurious and amazing backyard design trends that connect people with the nature and create fascinating, functional and spectacular outdoor rooms. 9. 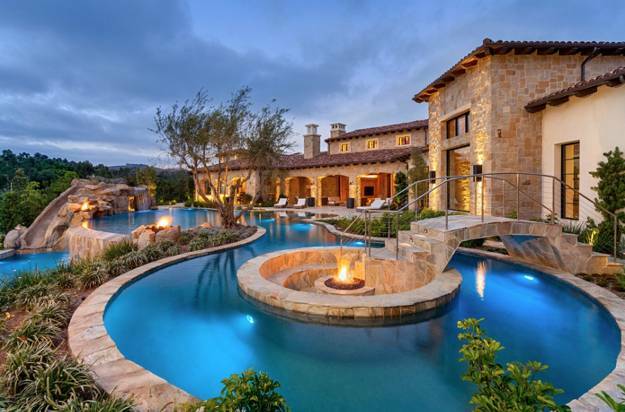 A swimming pool is a traditional element of luxurious yard landscaping. 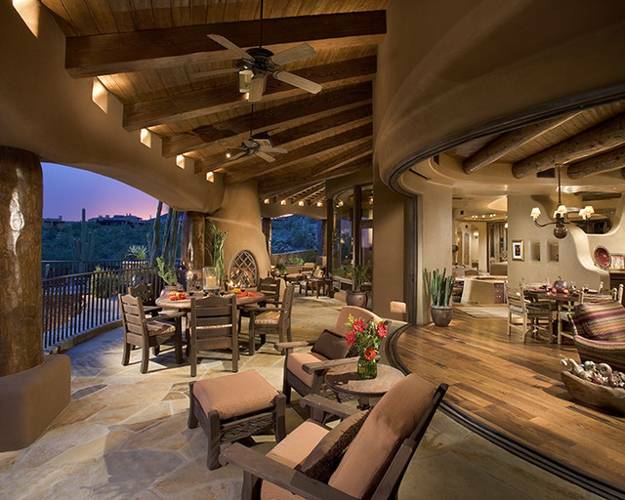 A spacious patio with a snack area and a small outdoor bar create fantastic outdoor seating areas that look beautiful and luxurious in day light and at night. 10. Unique yard decorations, sculptures, metal or wood artworks, topiary art and original design ideas add striking centerpieces to garden design and yard landscaping and beautifully accentuate exclusive, expensive and modern backyard designs. 11. 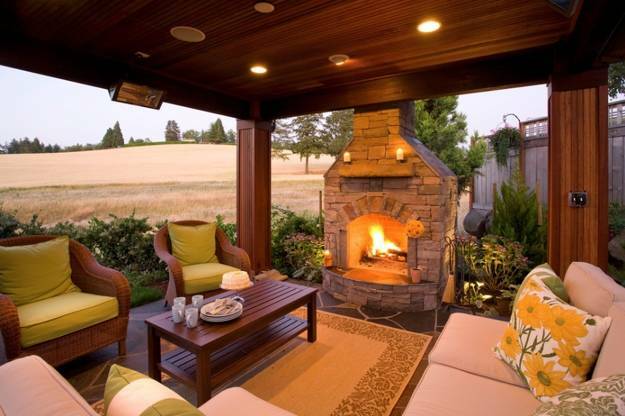 An outdoor fireplace or attractively designed fire pit with a beautiful seating area, BBQ and dining patio with a pizza oven or full summer kitchen design add chic to modern backyards, highlight expensive yard landscaping and emphasize comfortable and luxurious lifestyle.